We can provide the sand you need to enjoy great outcomes from your projects in Collingwood. Do you have a special project that requires the use of sand? Do you need a delivery of your chosen product, or are you looking for a specific type of sand that will ensure you get the best results? At Flesherton Concrete Products, we know that quality sand makes a difference in a number of project types, and we can provide the sand you need to enjoy great outcomes from your projects in Collingwood, Ontario. Filter Sand – Are you planning the construction of a pond or swimming pool, and you need filter sand during one or more stages of the process? You’ll find that we carry the filter sand you need to ensure your pool or pond construction is a success. Playground Sand – For playgrounds big and small, sand can make a big difference in the appearance and the safety of a playground area. However, not all sand types are created equal, and our playground sand will make it easier to maintain your play areas over time. Mason Sand – For any construction project that requires brick and mortar, having quality mason sand will ensure that you get great results from your building project. Ask us about the delivery of mason sand if you have an ongoing project or commercial construction requirement. You’ll find the sand, gravel and concrete products you need when you contact us at Flesherton Concrete Services. 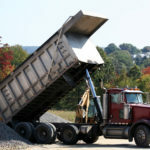 We have over 30 years of experience providing our customers with the aggregate solutions they need for projects of all shapes and sizes in Collingwood. Contact us today to learn more about our competitive prices and expert customer care. We look forward to working with you. At Flesherton Concrete Products, we offer sand to customers in Collingwood, Wasaga Beach, Flesherton, Orangeville, Owen Sound, Barrie, Stayner, Mulmur, Shelburne, and Mount Forest, Ontario.